Today it is hard to tell what is an advertisement and what is not. For journalists and consumers of newspaper or magazine content, the biggest issue is deciphering between native advertising and editorial content. Blurred lines between what is and is not an ad is not just an issue in written content, but on television and social media platforms as well. News Providers: Cable news channels don't always promote unbiased content. It is no secret that CNN and Fox News report similar stories very differently. When advertisements and promotions come into the mix, matters become even more messy. Lines become blurry when big news providers promote certain books, movies, products, movements, services etc. An example of a recent advertisement on Fox News was Dana Perino's promotion of Jenna and Barbra Bush's new book Sisters First. Shouldn't promotions such as this be saved for talk shows? I think yes. Perino's segment on Fox News "The Daily Briefing" is not a talk show that has daily guests, it is supposed to discuss White House Press Briefings. Perino's show is supposed to offer an inside look at the White House and make viewers feel more connected to Washington. If the segment was deemed as a talk show blurred lines of ads and blurred lines could be removed from this particular situation because talk shows are supposed to help people promote their recent endeavors and entertain the public. On the other hand, if this is not the show's initial purpose promotions should not be done in my opinion. Television Programs: Often in television programs certain ideas or products are advertised in sneaky ways. For example, American Idol judges used to have Coca-Cola cups placed in front of them that they would sip on when the camera would come their way. This was Coke's way of inserting a promotion within the show even if it was as small as a cup on the judge's table. Another example is in a soap opera I have seen before that stood up against drunk driving. The whole episode revolved around the subject and then before a commercial break one of the characters talked about the topic and gave a website and phone number of where to donate money to a family influenced. The lines were blurred because not until the end of the show was the advertisement for an organization disclosed. In the last two years the Kardashians have been in trouble with Instagram for paid advertising. The Kardashians and other public figures will post ads for beauty products, foods, clothing lines, etc. and not disclose that they are ads. According to Pacific Standard Magazine TINA.org (Truth in Advertising) released a report in September that spotted over 200 improper advertising disclosures on Instagram, Facebook, and Snapchat just by the Kardashians (not counting other celebrities who also participate). All that FTC guidelines ask is that the word "ad" or "#ad" is placed in the post so it is clear to the public. Now Instagram sends out sponsored posts in feeds that read "Sponsored" in the location section to discourage companies from contacting social media influencers to do their advertising. 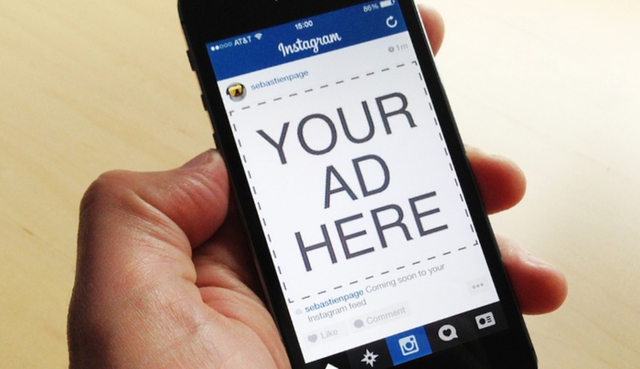 Instagram decided they should create their own ad system and in return make money off the sponsored posts, like a newspaper would for paid ad space. This was a smart move on Instagram's part and got social media influencers out of trouble with the FTC.